Post Traumatic Stress Disorder (PTSD) can often be accompanied by a high level of misunderstanding of the condition. In fact, several myths appear to contribute to the stigma that surrounds those with PTSD. PTSD is an anxiety disorder. It develops in response to traumatic or life-threatening experiences such as active duty combat, sexual assault, car accidents, natural disasters and even bullying in school or the workplace. Emotional symptoms include anxiety, anger, depression, irritability and sadness. Physical symptoms of PTSD can include increased fatigue, headaches, trouble digesting food and high or low blood pressure. 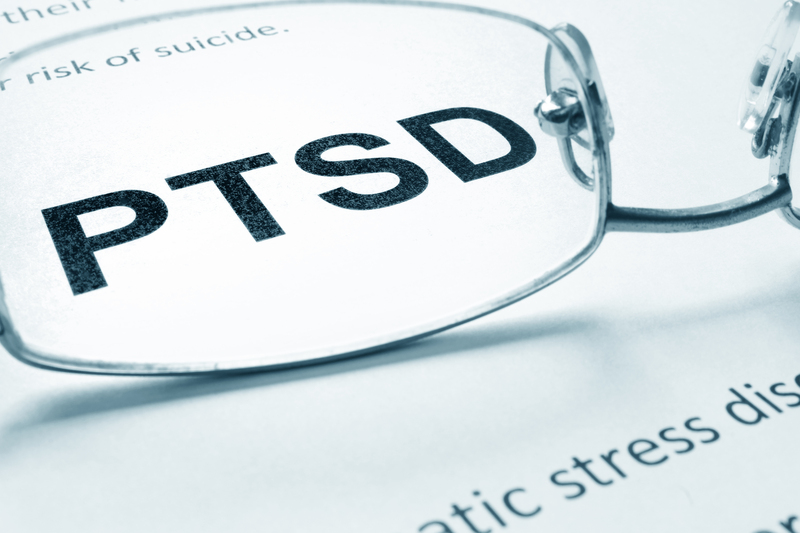 The risks for developing PTSD vary depending upon the trauma experienced. The latest research shows that PTSD actually causes a part of the brain called the amygdala to shrink. The amygdala is the part of the brain that processes emotions and fear. Researchers believe that when the amygdala is smaller, it makes it more difficult for people to process their anxiety resulting from trauma. I write this post with the hope of educating others on how to recognize the symptoms, how to help someone who has it and most importantly to create an understanding that PTSD does not define the person. PTSD is a sign of mental weakness: Developing PTSD is not a sign of weakness, be it mental weakness or weakness of character. It is an understandable human response to uncommon experiences. There are several factors that may influence whether an individual will develop PTSD, including: severity of the trauma and type of trauma. You only get PTSD immediately after an experience: In order for these stress reactions to merit a diagnosis of PTSD, the symptoms must last at least a month. Within the first month, these stress reactions are considered “acute stress,” which is very similar to PTSD, but traditionally has a slightly greater emphasis on dissociative symptoms (e.g., altered sense of reality, inability to remember important aspects of the traumatic event), and can be diagnosed within the first month of the trauma. Only if the symptoms last longer than a month, can the diagnosis of PTSD be considered. People with PTSD are crazy: PTSD is not characterized by psychosis or violence. Rather, symptoms of PTSD surround coping with the memory and implications of a traumatic experience. “Crazy” is a damaging stigma. People with PTSD cannot function normally: People can have PTSD and still effectively do their job, even a military job. It is a manageable and treatable diagnosis, and being diagnosed with PTSD does not mean one’s career is over. People with PTSD should just “get over it”: PTSD symptoms do not just magically go away after a certain period of time has passed. While many people are able to find ways of coping on their own, many others benefit from working with a professional for guidance. Veterans with PTSD are not “wounded”: The fact is, veterans went to war and made sacrifices for this country. It may help reduce stigma to think of psychological injuries as similar to physical injuries — inevitable, collateral damage of war that is not indicative of personal weakness. Nothing can be done to help PTSD sufferers: There are several different types of treatments, developed for different types of people, which have all been found to be effective, including medications and therapy. New interventions continue to be developed. Women are twice as likely to develop PTSD as men. Treatment for PTSD can include SSRI medication (selective serotonin reuptake inhibitors), also known as antidepressants, psychotherapy, cognitive behavioral therapy, exposure therapy and stress therapy. Please speak with your medical professional if you or someone you love is experiencing the symptoms of PTSD and may need help coping. There are also resources available to help with PTSD.